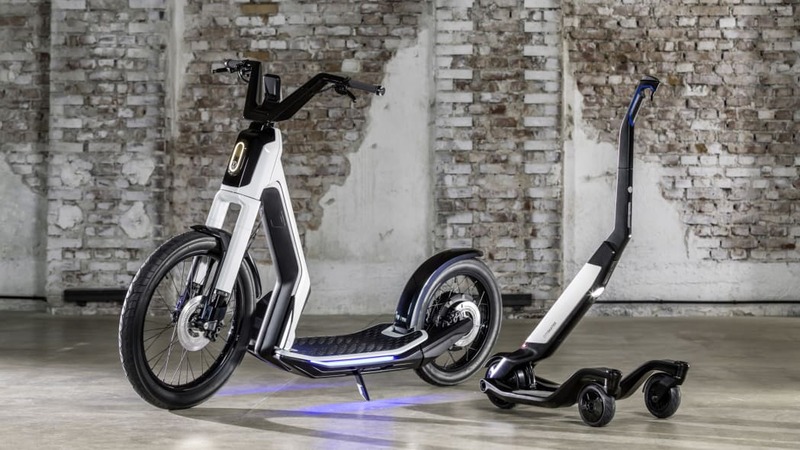 Volkswagen debuted two mobility concepts, a mid-range Streetmate and the last-mile Cityskater. By the looks of its display stand, Volkswagen might have mistaken the 2019 Geneva Motor Show for Los Angeles. In addition to the global unveiling of the retro-futuristic electric I.D. Buggy Concept, VW is debuting two electric mobility scooters perfect for warm city climates. 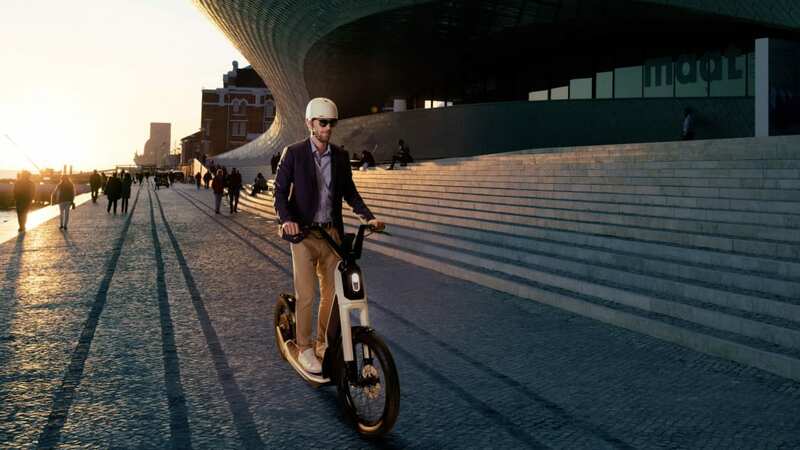 The Streetmate is meant as a medium-range option that could replace the need for a city car, while the Cityskater is a low-range last-mile gadget. Hopping on the scooter trend that has has taken over cities like a quickly spreading virus, Volkswagen is expanding its path of electric overkill with two battery-powered scooters. Both are intended to cut down the use of vehicles in city environments in efforts to reduce congestion and emissions. The Streetmate was designed for medium-range commutes and has a beefier design similar to a bicycle. It can be used in the standing or sitting position, and could park anywhere a small motorcycle could fit. 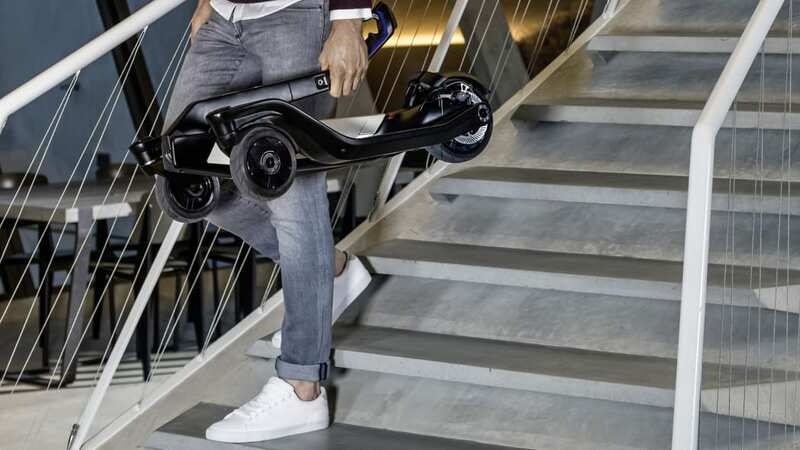 It does weigh 143 pounds, however, so this is not something that can be picked up and carried anywhere (that's where the Cityskater comes in). 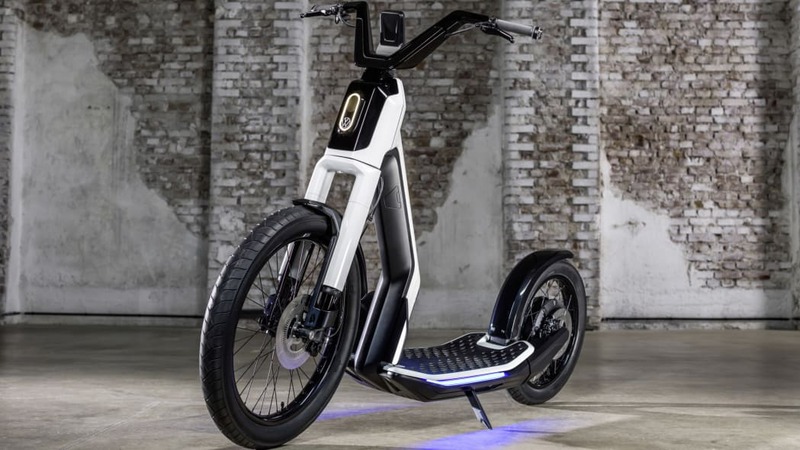 The Streetmate's electric motor is integrated into the rear wheel hub and is rated at 2.7 horsepower. 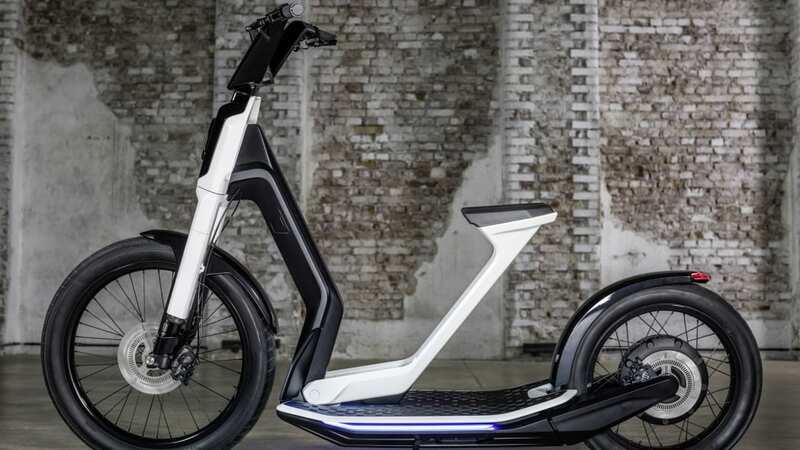 Power comes from a 1.3-kWh lithium-ion battery pack that sits in the scooter's floor, much like the design of an electric car. 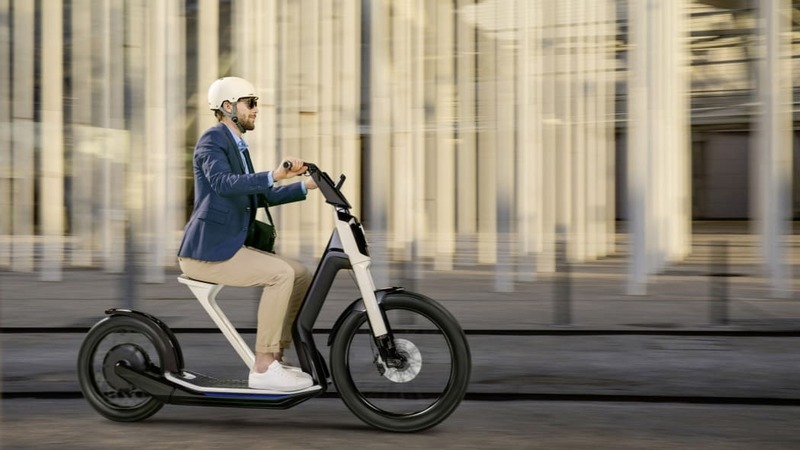 VW claims it has a 28-mph top speed and can putz around for 21 miles on a single charge, according to the WLTP cycle. 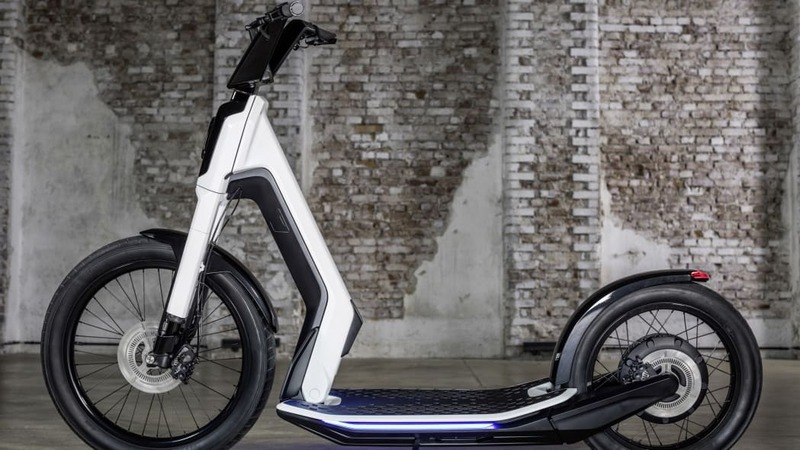 The battery can be removed and charged inside or charged while attached the scooter, but either way, it will take two hours and 15 minutes when connected to a 500-watt power source. Range could potentially be slightly extended, according to VW, thanks to regenerative braking and through the use of the scooter's Eco mode. 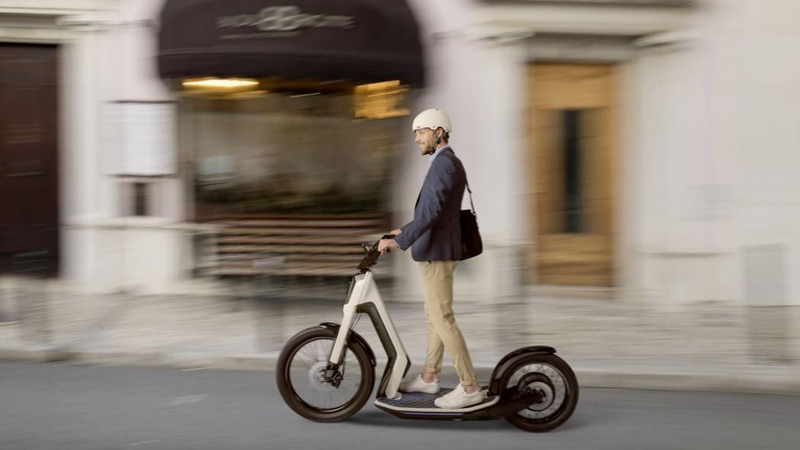 The Streetmate, which would require a license and a helmet in Europe, has modern smart-linked amenities, as well. Users can tie their devices to the scooter for battery monitoring, location services, range status, and as an electronic key. 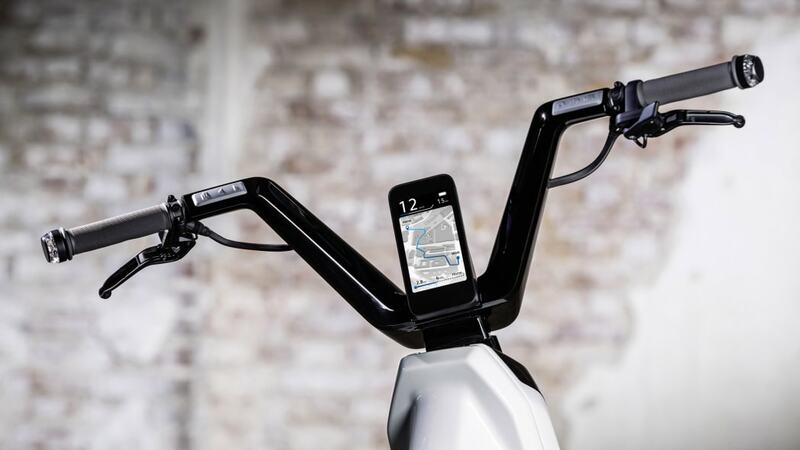 Battery and range numbers can also be seen on the 5.3-inch weatherproof display between the handlebars. The Cityskater doesn't have smartphone capabilities or a digital screen, but it's high-tech in other ways such as its design. Rather than a single-board design, the Cityskater has two boards up front for a three-wheel design. According to VW, the steering is similar to skiing, as the direction is determined by shifting weight side to side. A "control rod" stabilizes the scooter, as well as starts and brakes it. 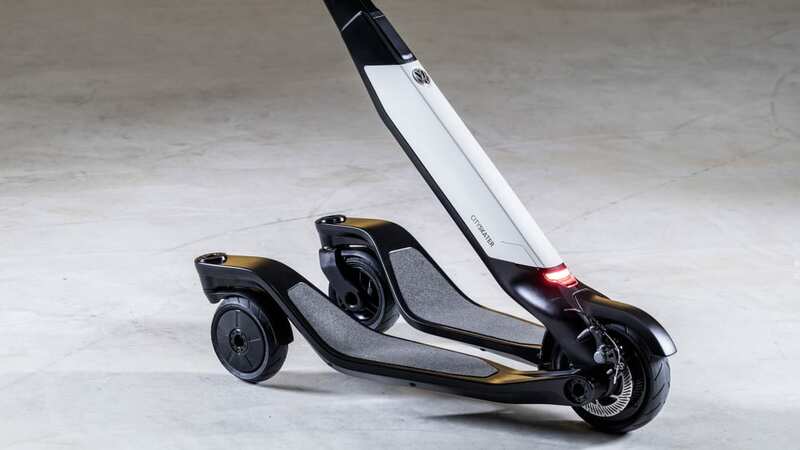 Whereas the Streetmate is intended for real commutes, the Cityskater was built for short connecting trips. 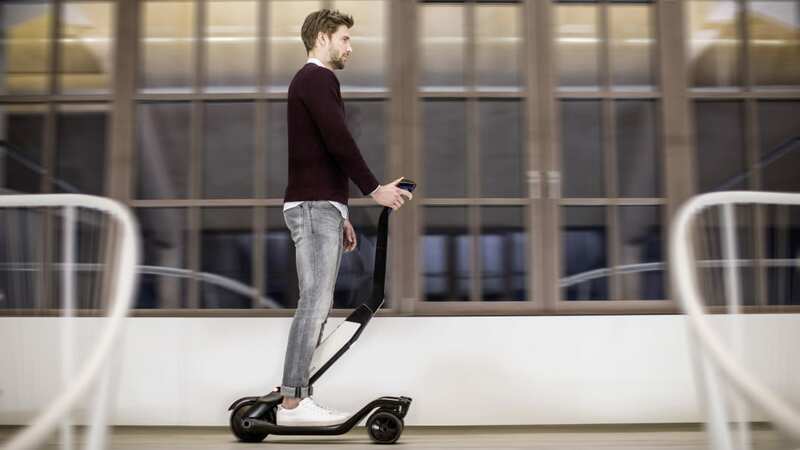 The Cityskater is 33.5 inches long and weighs only 33 pounds, so it could be carried and taken anywhere. 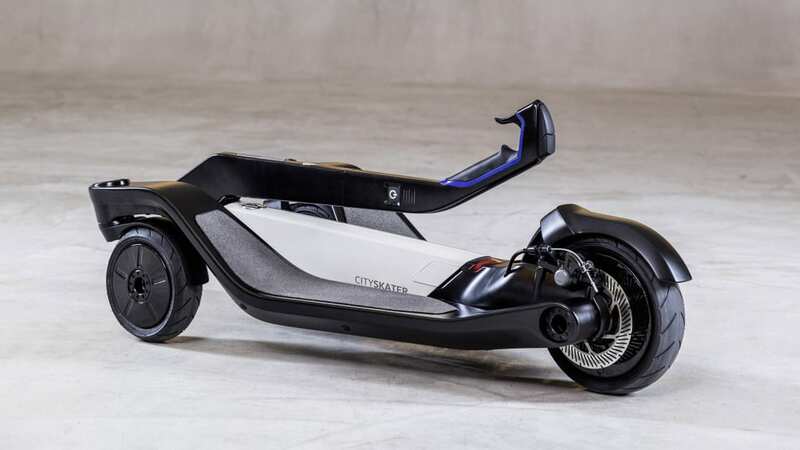 A 0.5-horsepower electric motor on the rear wheel isn't much, but it can motivate the scooter up to 12 mph, and VW claims it has a nine miles of range on a full charge. The 200 kW lithium-ion battery can charge up to 50 percent in less than an hour on a normal 230-volt socket in Europe. 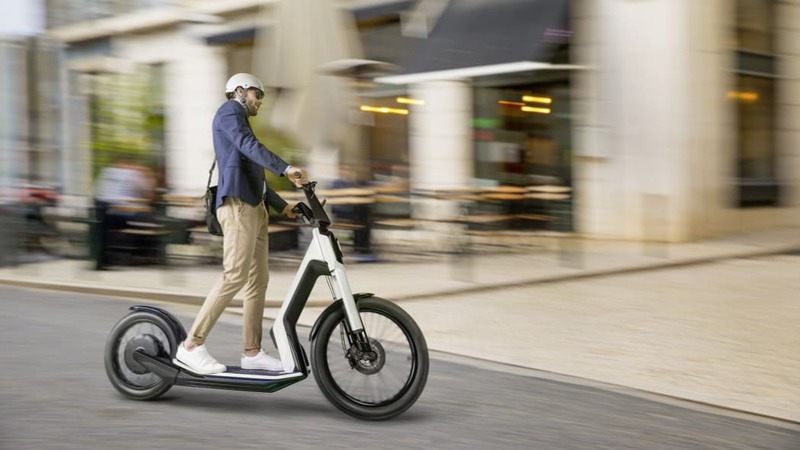 Volkswagen says the scooters are under evaluation for homologation but made no mention of whether they would go into full production. If they do, they'd likely be limited to the European markets.